High brightness ion beam systems based on an air cooled, cold cathode arc discharge duoplasmatron. 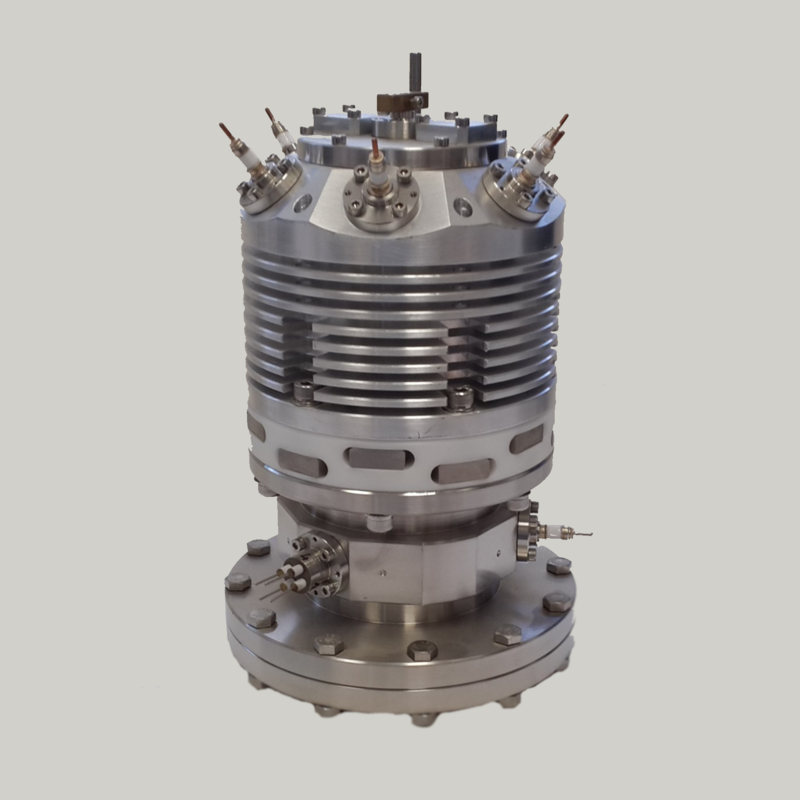 This type of ion source generates positive ions of hydrogen, nitrogen, oxygen and noble gases. Beam energies from 300 to 30,000 eV. This ion source can be equipped with custom designed ion optical systems according to specific applications. Custom designed fine focusing ion beam system. 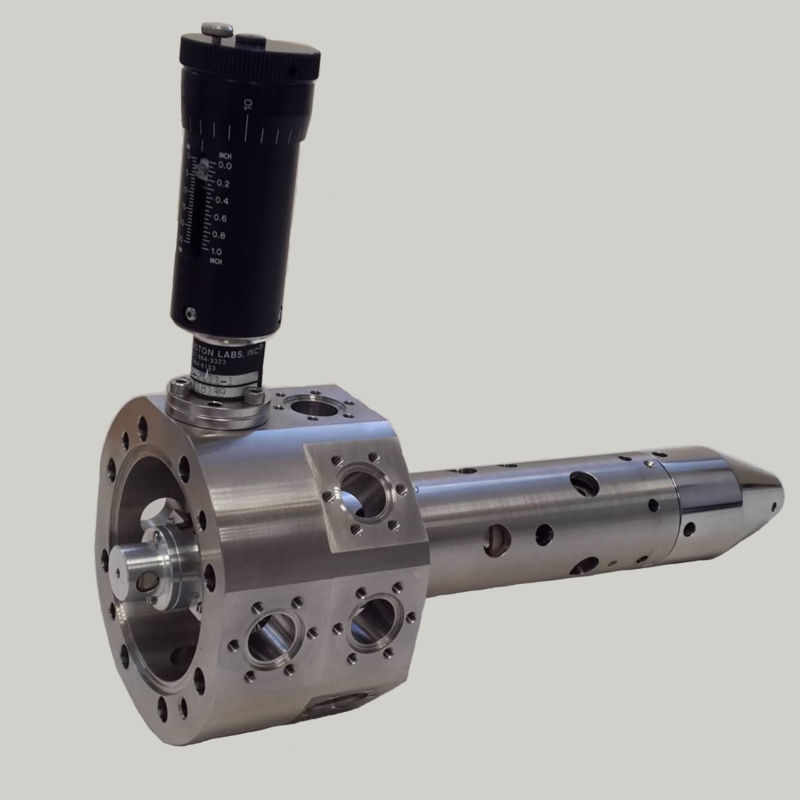 Equipped with changeable beam apertures, low aberration objective lenses, beam stigmator and positioning scanning systems. Designed as part of molecular beam mass-analysis systems. Provides ionization, pulse extraction and acceleration of ions into the flight tube of RTOF MS. 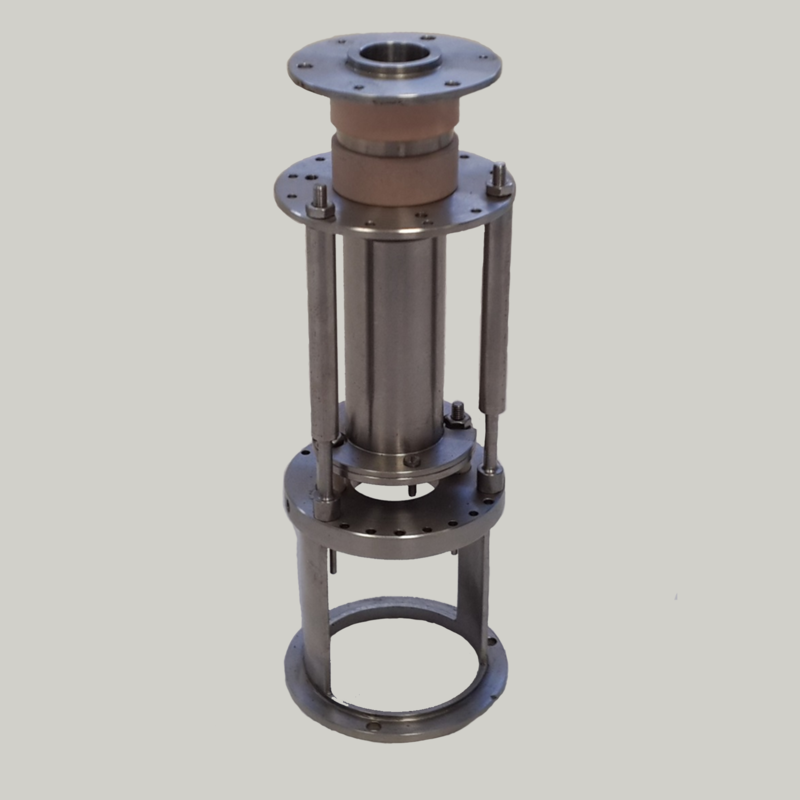 Compact, high brightness, high purity Cs+ alkali metals ion source. Beam energies from 300 to 10,000 eV. 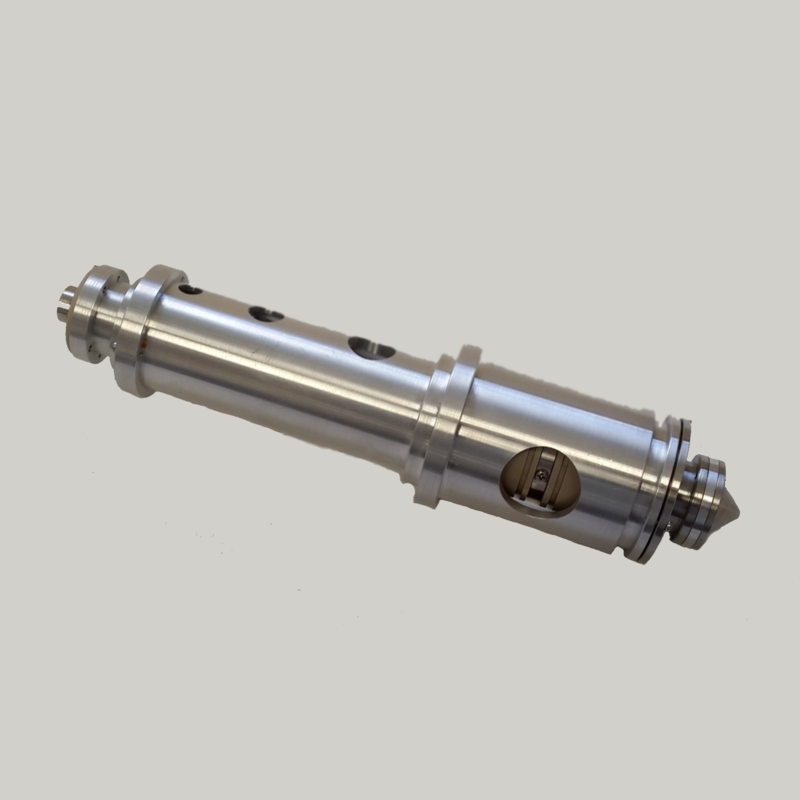 Can be integrated in custom ion-optical column according to specific applications. In-line ion beam current monitor for accurate measurements of ion beam currents. Equipped with apertures from durable materials (molybdenum or tantalum) and electrodes for secondary beam electrostatic suppression. Extraction, acceleration and focusing of ions at the first stage formation of ion beams. 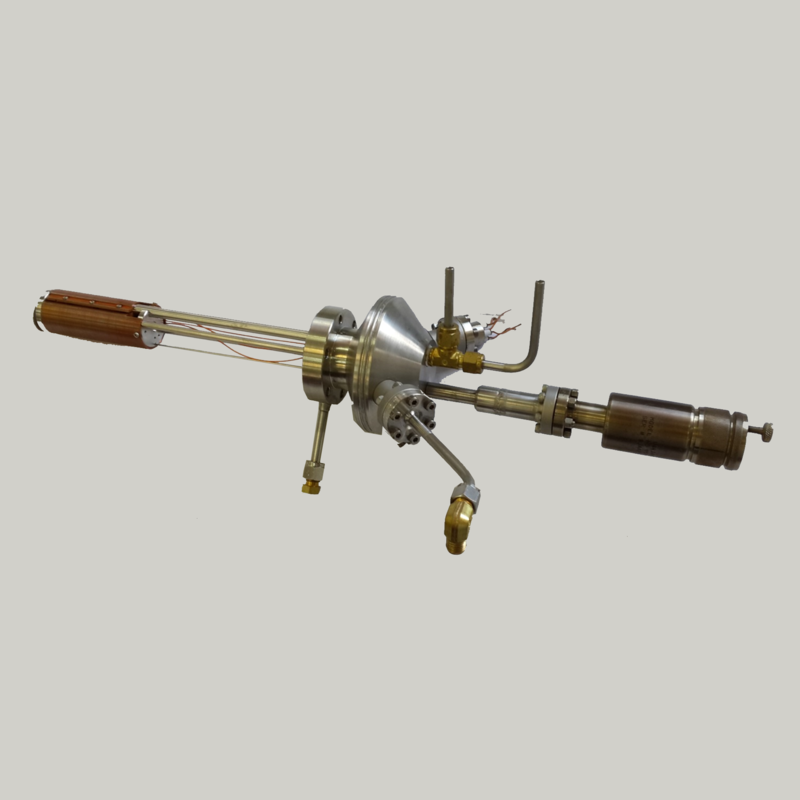 Equipped with extraction acceleration electrodes, condenser lenses with an ion beam trajectory correction system. 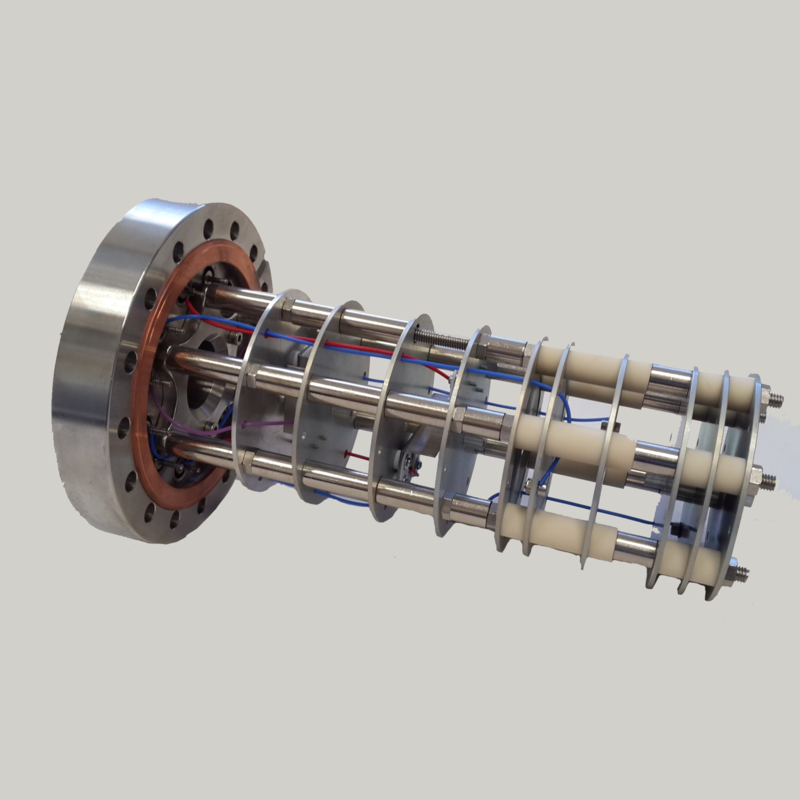 Atomic hydrogen source for generation of hydrogen flux. High temperature thermal cracking of molecular hydrogen (H2) passed through a hot tungsten tube. In situ low temperature cleaning of surface contaminants, e.g. carbon and oxygen. 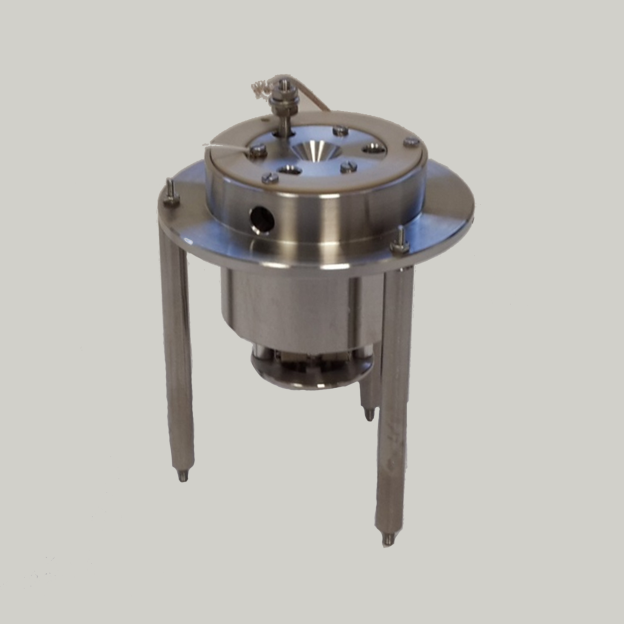 Source equipped with a water cooling system for reduction of process chambers contamination.